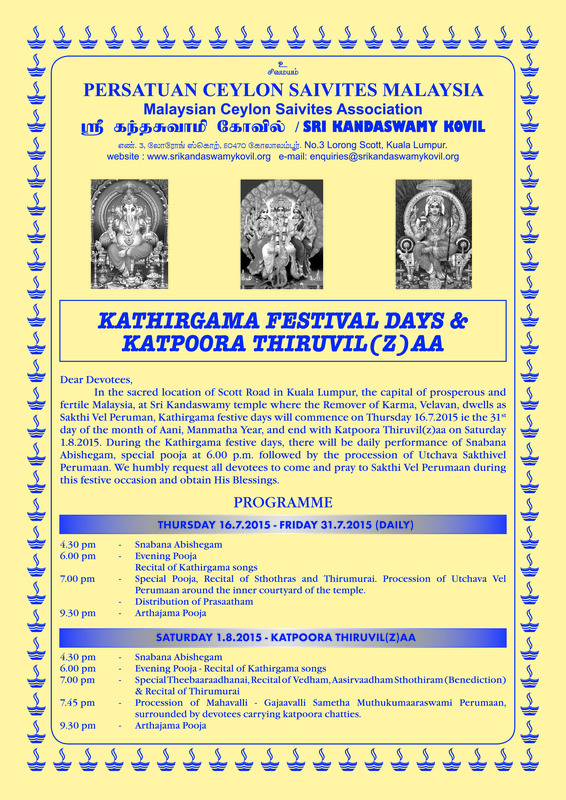 In the Sacred location of Scott Road in Kuala Lumpur, the capital of fertile and prosperous Malaysia, at Sri Kandaswamy Kovil where the Remover of Karma, Velavan, dwells as Sri Sakthi Vel Perumaan, Kathirgama festival days will commence on Thursday, 16th July 2015 i.e. 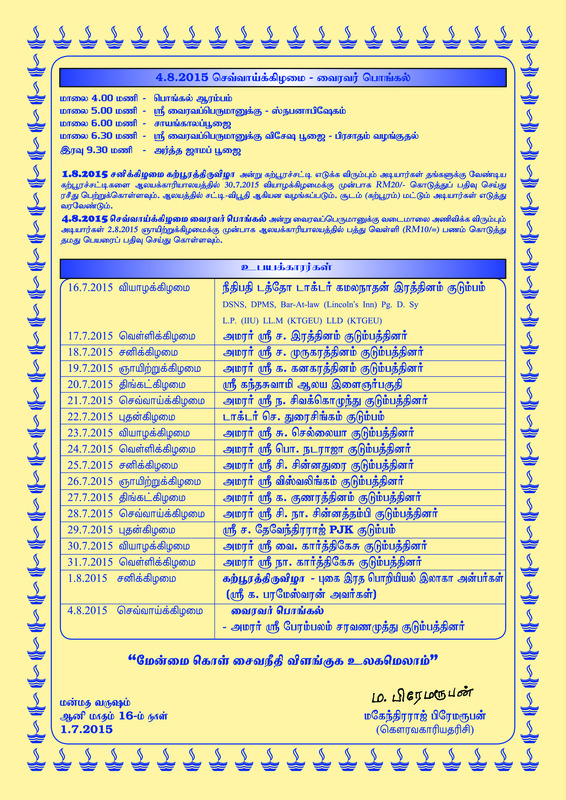 the 31st day of the month Aani, Manmatha Year, and end with Katpoora Thiruvil(z)aa on Saturday, 1st August 2015. 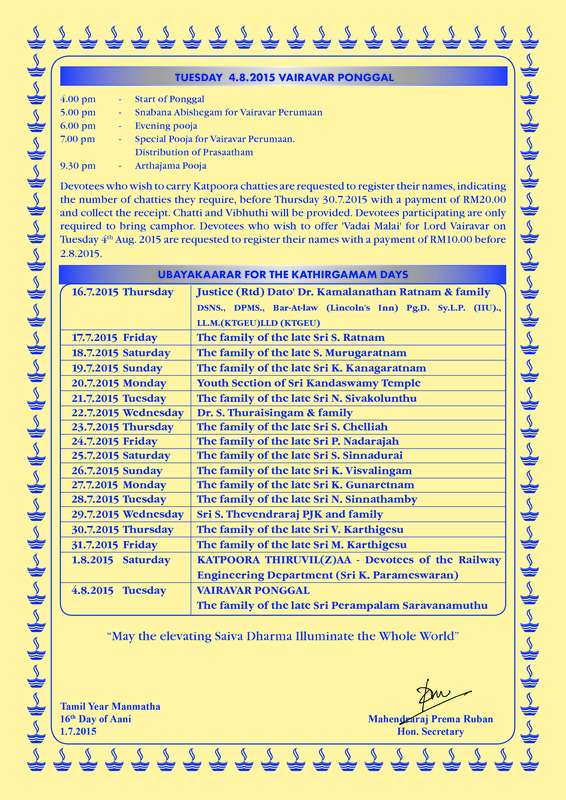 During the Kathirgama festive days, there will be daily performance of Snabana Abishegam, special pooja at 6.00p.m followed by the procession of Utchava Sakthivel Perumaan. 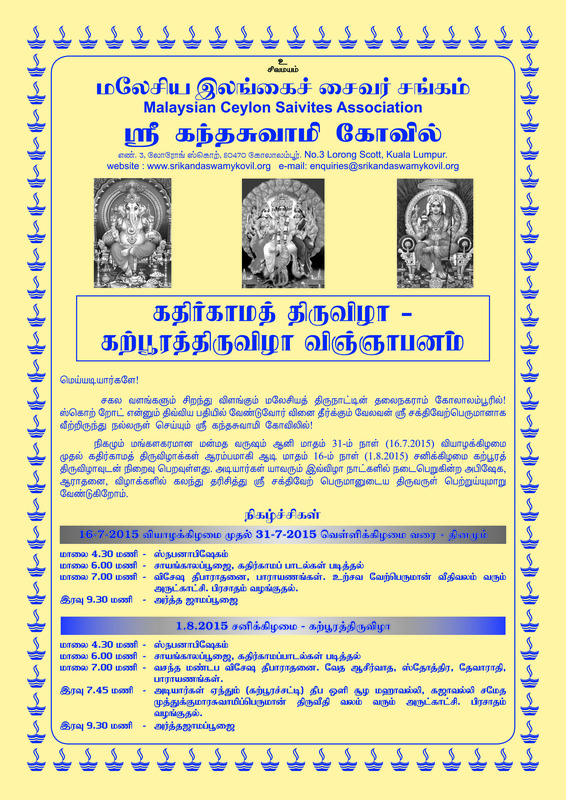 We humbly request all devotees to come and pray to Sakthi Vel Perumaan during this festive occasion and obtain His Blessings.